Meet your sign and label needs in real-time, by printing in-house, with the Bepop CPM-200GU printing system. 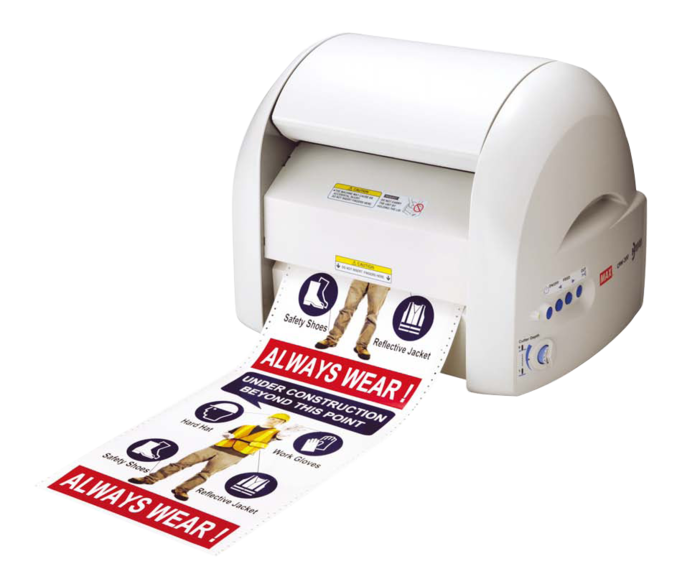 Allowing for larger 8” media, full color printing, and on-demand cutting all in one system, the CMP-200GU is everything you need to meet your labeling requirements with the push of a button. Print full color photo images. Import and manipulate­ Word, Excel, and PowerPoint documents in the BepopPC EX design window. Make automatic copies of labels, and let the software position them in the most cost efficient way! Serialize numbers, letters, and barcodes. The software automatically positions your serialized labels. Import company logos and symbols as vector images using BepopScan EX. Automatically draw distinct cut-shapes around selected objects. Make QR Codes, UPC-Codes, and much more! Change printing data into cutting data with the click of a button! Save time finalizing your designs by using the automatic spacing and alignment functions in the software. Compatible drivers/applications are available by downloading them from ­Bepop membership website.